Exciting world-class music festivals fill calendars at major cities across Australia every year, offering big-name performers, cultural extravaganzas, touring Broadway musicals and stadium rock concerts. Whether you’re looking for some legendary jazz, avant-garde rock or indie stars, you’ll find it Down Under. Get your tickets for live music ahead of time and have the music and party experience of your life at Australia’s amazing musical events. Jazz and blues bring the coast to life throughout the year. The acclaimed Melbourne International Jazz Festival brightens winter with more than 300 national and international musicians and associated late-night art parties, free concerts, films and family events. Byron Bay has been hosting the premier performances of Bluesfest for 25 years every April, offering the unique experience of listening to over 200 amazing blues, folk and soul performances under the trees at a working tea tree farm. One of Queensland’s top cultural events, the Noosa Jazz Festival spans four days in late August and combines with foodie delight Tastings on Hastings for dazzling days of jazz river cruises, open air concerts and gourmet food. Head to wine country for October’s Jazz in the Vines in Hunter Valley, where Australia’s top jazz performers play to picnicking crowds in picturesque Tyrrell’s Vineyard. Classic music lovers can enjoy incredible musical performances in some of the country’s loveliest natural surroundings at a myriad of festivals. Prestigious Opera in the Paddock features all-star performances enhanced by the amazing acoustics of a magical farmland setting in Delungra, New South Wales, while the wine regions are the lavish setting for Opera in the Vineyards, where fine music combines with superb wines to create a memorable evening. Travel to tropical Townsville in late July for the legendary Australian Festival of Chamber Music, or fall under the spell of lyrical classical guitar performances by international stars at the Adelaide International Guitar Festival. A highlight of this event is the Adelaide International Classical Guitar Competition, drawing competitors from across the globe. Big arena concerts and mega-music festivals showcase superstars from around the globe in Australia’s jam-packed musical event calendar. Join the party at amazing outdoor festivals presenting rock, metal, punk and electronica at legendary events like New Year tradition Parklife in Sydney CBD, or catch one of the regional tour stops of Groovin’ the Moo featuring emerging local and international artists at towns including Bendigo, Maitland and Canberra. A stunning series of huge outdoor music concerts, Big Day Out ushers in summer with some of Australia’s best live bands in Sydney, Gold Coast, Melbourne, Perth and Adelaide. Legendary Splendor in the Grass showcases talent from around the world in a magnificent bushland setting. Sister Falls Festivals at Marion Bay in Tasmania and Great Ocean Road in Victoria present top bands, DJs and comedians in gorgeous seaside locations with camping facilities. Coolly combining comedy, film, music and international cuisine, Sydney’s Homebake event in December fills the Royal Botanic Gardens’ historic Domain with music and laughter. This event is intended for adults over 18 years old. Australia celebrates culture from around the world at countless music celebrations from coast to coast. 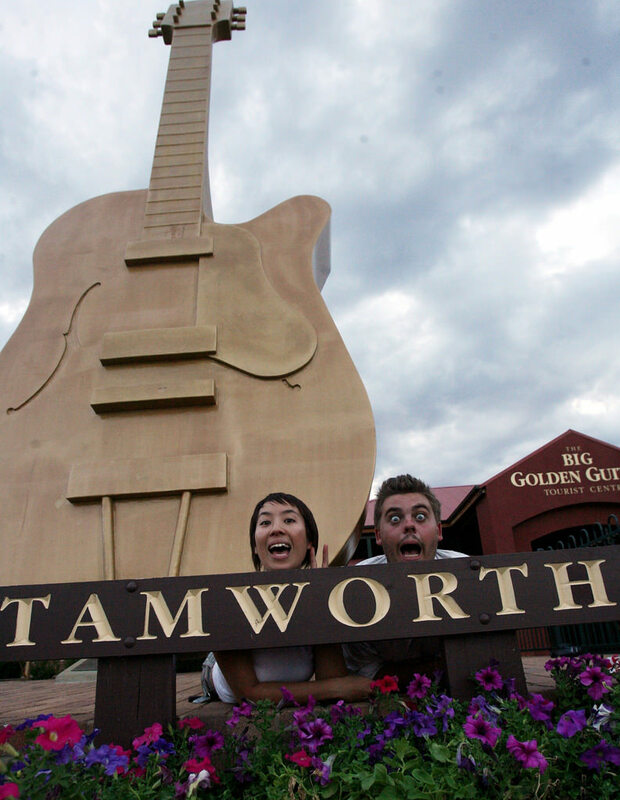 The musical year starts off with a bang at January’s all-star Tamworth Music Festival, considered one of the top music festivals in the world and also the country music event that launched Keith Urban’s career. Offering the country’s biggest lineup of independent country music acts, the Mildura Country Music Festival in Victoria culminates in the gala Australian Independent Country Awards. With over 500 performances, the charming seashore town of Port Fairy packs in the crowds for its annual four-day Folk Music Festival in March. Queensland’s internationally-renowned Woodford Folk Festival combines super camping and amazing music in a six-day December outdoor music extravaganza, while Canberra’s National Folk Festival celebrates traditional dance, poetry and storytelling for five days in March and April. One of the country’s favorite festivals, WOMADelaide is one of the chain of events founded by musician Peter Gabriel and runs for four spectacular March days at Adelaide’s Botanic Park. WOMAD (World of Music, Arts & Dance) is famous for showcasing the best of traditional and contemporary musicians, dancers and DJs.